The garden can be a beautiful sight at night. Some flowers bloom in the evening. Walks within formal knot or English boxwood gardens are highlighted with deep evening shadows and magically all the flaws and weeds disappear into the dark. But to enjoy the garden at night you have to be able to see it! Most homes have two distinct landscapes. The front is more formal. It may have a generous planting of annuals and perennials, but in general it’s a bit more restrained. The backyard is another story. The back garden is a private, intimate space where the owner’s full garden personality can come to fruition. The lighting in the back should reflect this. If the backyard includes an outdoor dining and cooking space the lighting is chosen to highlight those tasks. In the area dedicated to gardens, the lighting can be softer, just enough to draw you in. If you are missing out on enjoying your landscape at night, call us. 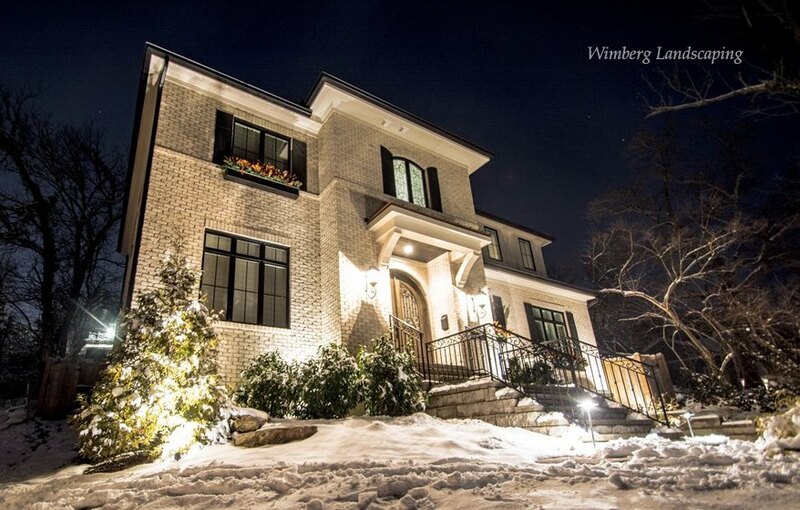 We will design a lighting package that suits your backyard beautifully.